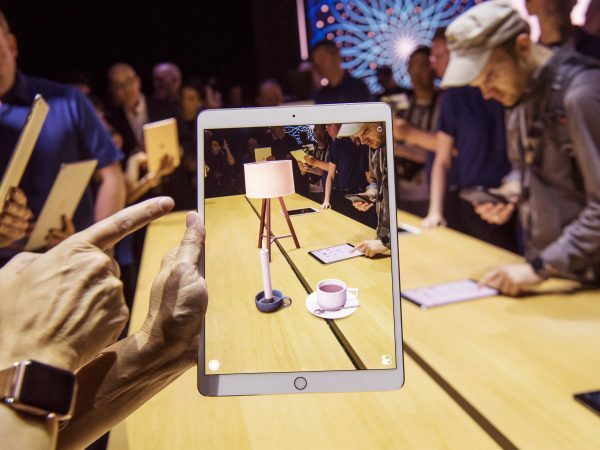 Tim cook gave an interview with the Independent, which spoke about the prospects of augmented reality. In the beginning of the conversation, cook noted that due to the control hardware and software, Apple has the advantage that no competitors. Discussion then turned to augmented reality and ARKit. Apple’s CEO compared the appearance of ARKit with the launch of the App Store in 2008 and the emergence of multitouch in the first iPhone. Tim cook also responded to the question about the intention of Apple to release glasses with augmented reality. According to him, the technology is still not ready. Today there are technologies that allow to do it as well. It is necessary to correctly display a picture and literally immerse the viewer in content. This is a big problem. Adequate for this display technology yet. As soon as they appear — we develop. But only when we understand that this can be done efficiently. Our aim is to be the first. We want to be the best. Everything that has already been shown in other company personally does not suit us. I am confident that the achievements from the sphere of augmented reality glasses is not satisfied and buyers. Then cook added that thanks to iOS 11, iPhone has become the largest AR platform in the world. At the end of the call, Apple CEO said that the world could solve a lot of problems, if everyone thought about them. What should be the ideal iMac?